Dodge Charger foglights are one of the first things people buy after coming home from the dealer with their brand new Charger. Foglights are SERIOUSLY overpriced when purchased as an OEM factory option, thus many smart buyers visit our website to buy and install their own Charger Fog Light Kits at a fraction of the cost. 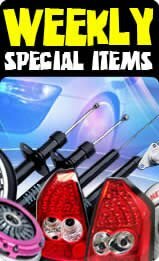 Also, here at Tunersdepot.com, we try to offer a wide selection of the newest and best styles of fog light kits for your Charger. Our line of Dodge Charger fog light carry thru 2006, 2007, 2008, 2009, 2010, 2011, 2012, 2013, 2014 or 06, 07, 08, 09, 10, 11, 12, 13, 14 models. If you are looking for something a little different and more personalized, then a set of Charger Halo Projector Foglights might work best for you. Halo Projector Fog lights are the same size as stock Charger Fog Light kits, but they use a completely different type of lens. By incorporating a convex lens to “project” the light from your foglights, they transfer the shape of your light beam to be spread over a wider area. This increases overall visible viewing area, making your Charger safer to drive during foggy conditions. Also, Charger Halo Projector fog light kits use halo lighting technology (also known as angel eye lighting) to provide even more light from the foglight. By adding an extra illuminated ring around the projector (the “halo”), they give your fog lights the same glowing ring look as the higher end European headlights. Also, for certain applications, the halo is left unwired, giving you the option to splice them into your Charger’s parking lights, allowing you to turn only the halo ring on when you activate your parking lights. Alternatively, you could not wire them all if are expecting a more low key look from your Charger fog lights. Once you have decided what style you want, the next choice is color. There are usually 3 choices available for Charger Fog Lights for both the OEM and Halo Projector styles: Clear, Smoke, and Yellow. Clear is the color of lens that the dealer fog lights came in and for good reason. Clear Charger Fog Lights put out the most light of all the colors since colored fog lights have to add some material to the lens, blocking overall light. Also, Clear Foglights, both halo and OEM style kits, look great no matter what color your Charger is. Also, if you are planning to add colored bulbs of HID kits to your Charger fog lights, clear is the way to go if you want to maximize the effect of the new color. The only downside to clear Charger Foglights is that their “clearness” can be a liability if your foglights start getting old and worn looking after a few years. Unless you are going for that Japanese JDM look, Smoke Foglights are probably the nicest option available for your Charger. At the expense of a marginal loss of brightness, you get a slick looking light that looks perfect on white and most dark colored Charger. They are a perfect complement to tinted windows, especially on black Charger going for the full tinted Knight Rider-ish look. Being the darkest foglight, they hide wear and tear the best, but that also makes them a less than desirable option if you are planning to add colored bulbs or HID kits to your Charger. Yellow is the preferred color for drivers going after the Japanese “JDM” look. They look exceptionally nice on high contrast color Charger like black, white, or blue. Yellow Charger fog light kits might not be the best look for Charger with yellowish colors though (yellow, orange, some reds, etc.). Another thing to consider with yellow Charger fog lights (both OEM style and Halo Projector versions) is that they actually do the best job in foggy or inclement weather. Due to the wavelength of the light spectrum of yellow light, they produce the least glare against fog, rain, puddles, etc. making them the SAFEST color of foglight to get…assuming you are really buying fog lights because you are planning on driving your Charger in the fog. Our 2 Fog Lights (Vehicle Specific) Reviews have an average rating of 5.0 out of 5 stars. Every customer can leave a review about our service and the product that was purchased. In order to leave your review for the purchased product, please log into MY ACCOUNT after you receive your order. We encourage all of our customers to take the time to share their experiences with our website with everyone. I had originally purchased these items two months ago and they both where defective. 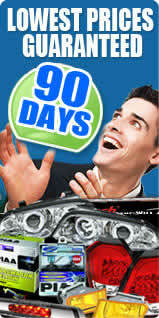 The staff at tunersdepot where great at resolving my problem quickly and professionally.